Humans are making more sound, and it can interfere with animals finding mates, food and other essential behaviors. Most of the research showing impacts of human-generated sound is largely focused on vertebrates. Biologists at Mississippi State University were curious about sound potentially impacting insects – the largest group of animals on earth. They specifically looked at a tritrophic system: soybean, soybean aphid and predatory lady beetles. Brandon Barton and colleagues wondered if noise pollution could change the growth rate of plants, soybean aphids and a predatory lady beetle. 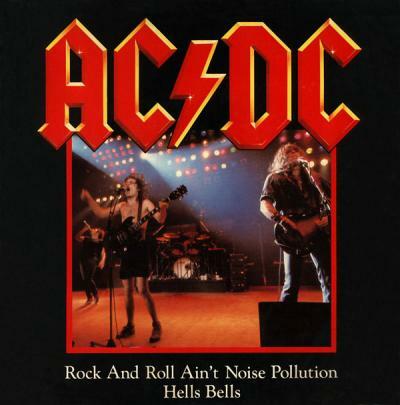 They coined the term “AC/DC hypothesis” and generated a hypothesis that “rock and roll ain’t noise pollution.” Music was used as a proof-of-concept in this predatory-prey interactions. They had a lot of treatments, including playing AC/DC in growth chambers at 100 decibels for 14 days. I can’t imagine getting anything else done in the lab those weeks! In the end, the plants and soybean aphids were not affected by the loud music, but the lady beetles were less effective predators. Rock music altered the predation and ultimately those treatments had more aphids compared to treatments with no rock. What the lyrics, vibration or constant repetition of noise pollution? More research is needed to understand changes in behavior. “Rock and Roll Ain’t Noise Pollution” is the tenth and final track of the 7th studio album, Back in Black. This Australian rock band. Matt O’Neal and I dedicated part of our podcast to this research (it starts around 14 minutes). Read the original research paper here!